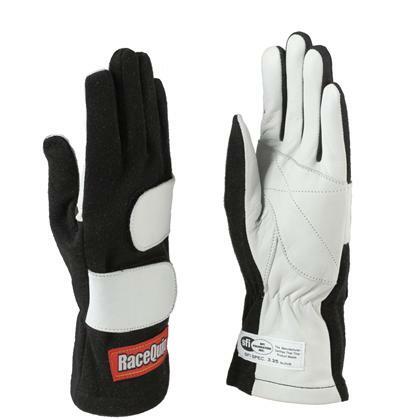 The RaceQuip Mod Glove is for the discriminating buyer. Two layers of soft knit Nomex are joined with a full leather palm of supple reinforced white leather to form a long gauntlet SFI-5 rated glove. 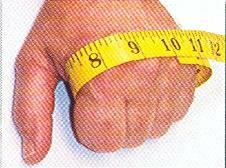 These features, plus mitered fingers, provide unmatched comfort, feel, and steering wheel grip. Two adjustment straps across the back allow separate wrist and palm tensioning for precise fit while maintaining flexibility. Available in black, red or blue, and in sizes small through X Large. 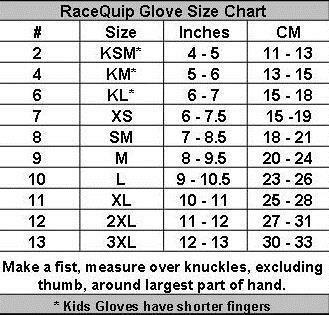 The Mod glove is the most comfortable SFI-5 glove that you will find anywhere.